When you trust us to care for your child you will acquire peace of mind knowing that you have selected a safe, secure, transparent and happy environment for your child to learn, grow and just simply have fun. When you pick us to care for your child you will see that we take this as a compliment and will take on this role with great responsibility. We are here to assist you in your critical role as parents making it easier for you to balance the other responsibilities of your day. We are committed to ensuring your child is given the best supervision, guidance and learning opportunities required to maximize their full potential. We are committed to establishing close, working relationships with parents to honour their role as the foremost educators of their child. You can rely on us to be responsive to your child as well as keeping you well informed. As an educator, I understand the crucial role a welcoming, positive and stimulating environment has on a child's development. I want the very best start for all the children in my care. I created the programs here for my own 4 children. I believe the success that my children enjoy now is because of the wonderful early start the had her. My children are attending Law school in Calgary, Microbiology at SFU, Grade 7 and I have one Entrepreneur. Our meals are all natural and cooked on site by our qualified chef. These meals include breakfast snacks and lunch. Please see the enclosed menu. We are open 6:30 am to 6:00 pm. 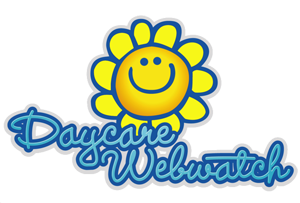 We are a Daycare Web Watch Center. Watch your child on the Internet with a secure connection while you work. We offer care for children age Newborn to Age 12, in separate programs. We provide an exciting environment and experiences that will allow your child to grow physically, emotionally, intellectually and socially through a balance of individual learning, structured play, exploration and group participation. 3-5 years (Junior and Senior Kindergarten). Here at Park Place we have separate well equipped, age specific rooms and natural outdoor space. We have designed these areas to stimulate and enhance each child’s natural curiosity to enrich their development. In addition our youngest children have separate sleep rooms which provide tranquil and uninterrupted areas for rest. We can say that we have a bully free environment. We practice Inclusion. We teach the children independence through everyday activities. Our teachers are role models and will show your child how to manage these activities to develop good self esteem.